QTc prolongation and T-wave morphological changes are associated with the androgenic potency of the progestin taken. Nonmenopausal women taking oral contraceptives exhibited biomarkers for drug-induced torsade de pointes, such as increased corrected QT prolongation, according to the results of a study (Genetic Sources of Variability of the Adaptation of the Ventricular Repolarisation; ClinicalTrials.gov identifier: NCT00773201) published in JAMA Cardiology. Electrocardiographic changes in nonmenopausal women were recorded 3 hours after administration of sotalol (80 mg), which has a known risk for drug-induced torsade de pointes, and 1 of the following treatments: levonorgestrel (high androgenic potency), desogestrel or gestodene (intermediate androgenic potency), drospirenone (antiandrogenic), or no contraceptive. Corrected QT duration, plasma sotalol levels, and potassium levels were recorded at baseline and 3 hours after administration, and were compared between groups. Among the 498 participants in the study, 137 received levonorgestrel, 41 received desogestrel, 51 received gestodene, 62 received drospirenone, and 207 received sotalol alone. At baseline, electrocardiographic outcome measurements such as QT duration, plasma sotalol levels, and potassium levels were not different between groups. Three hours after treatment, QT prolongation was greater in women taking drospirenone than sotalol alone or levonorgestrel (mean increase, 6.6 ms [P =.005 compared with no oral contraceptives]; and 7.0 ms [P =.005 compared with those taking levonorgestrel], respectively). 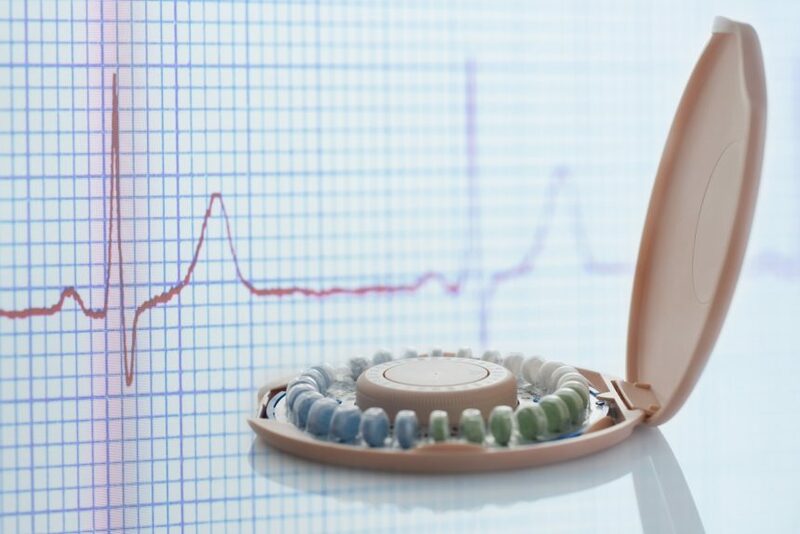 In addition, sotalol-induced T-wave alteration frequency was higher in women taking drospirenone (21.0%) or taking gestodene (19.6%) compared with women taking levonorgestrel (7.3%) or no oral contraceptives (11.6%; P =.01 across all).